It’s your worst nightmare: You’re driving to work, and another driver runs a red light, hitting your car and causing severe injuries. Perhaps you’re walking down the sidewalk and slip on some ice that a business owner failed to clear, and now you have a pile of medical bills and can’t work. Regardless of your accident’s circumstances, the effect is the same: You need to be reimbursed for the damages by the responsible party and their insurance companies. The problem? The claim process is taking forever, the insurer is refusing to pay or other delays are keeping you from getting on with your life. You decide to hire a personal injury attorney to help you get what you deserve, but before you file your claim, there are a few points you need to understand. Your next-door neighbor had a similar accident to yours several years ago, and after months of paperwork and a visit to the local courthouse, she received a large settlement check. When she shares her story with you, you’re optimistic. After all, your accident was almost identical to hers, and your injuries were more severe. Before you breathe a sigh of relief and mentally start cashing checks, confident you will win your case, remember that nothing is guaranteed. Every case is different, and the details of your case could lead to a different outcome than a dozen similar cases. Factors like the defendant’s insurance company, proposed settlement terms and even statements you make to insurance companies can influence your claim’s outcome. For that reason, it’s important to hire an experienced attorney and focus on your claim’s details, not on what’s happened in the past. After an accident, you may be reluctant to hire an attorney to help you manage your claim out of fear you’ll have to make your case before a judge. The truth is the majority of personal injury claims never make it to the trial stage; most cases are settled out of court. However, that doesn’t mean you don’t need an attorney. An attorney can help you navigate the personal injury claims process and negotiate a settlement that meets your needs. You’ve made your case, and the judge has ruled in your favor or a settlement has been reached. Now you sit back and collect your cash, right? Not necessarily; in some cases, you may have to wait several weeks, months or years to see your money. In some cases, you may not see it at all. If the defendant in your case does not have adequate insurance coverage or funds to pay what he owes you, you could face another battle to get the money. There are other ways to get the cash, such as payments from your insurance company or wage garnishments on the defendant, but actually getting paid may take some time. Your attorney can help you weigh your options and ensure you get the money you’re owed. 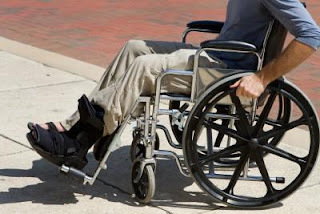 Personal injury claims, like any other claim, generally have a statute of limitations. Depending on the type of accident, where you live and other circumstances, you may have anywhere from a few weeks to two years to file. Your best bet is to contact an attorney as soon as the accident happens to weigh your options and make the right decision. Within days after the accident, the other person’s insurance company contacts you, wanting a recorded statement or other evidence to start filing the claim. You may think you have to give them what they want or risk having your claim denied. The truth is, you are not required to provide any information and you may be wise to not say anything until you have consulted with an attorney. An attorney can help you craft your statement so you avoid saying or doing anything that could jeopardize the case. Personal injury law is a complex field, one you may not wish to navigate alone - especially after a serious accident. But understanding what is, and is not, true about the claims process can help you make the right decisions and get the compensation you need and deserve following an accident. About the Author: Mark Provencher writes about the law and legal issues for several online publications.